One hundred and thirty-eight years ago today, in her home in the town of Groton, Connecticut, Tookoolito ("Hannah"), one of the greatest of Inuit guides and translators, died at the sadly young age of thirty-eight years. She was predeceased by her infant sons Tarralikitaq ("butterfly") and "King William," as well as her adopted daughter Panik (known affectionately as "Punny"). 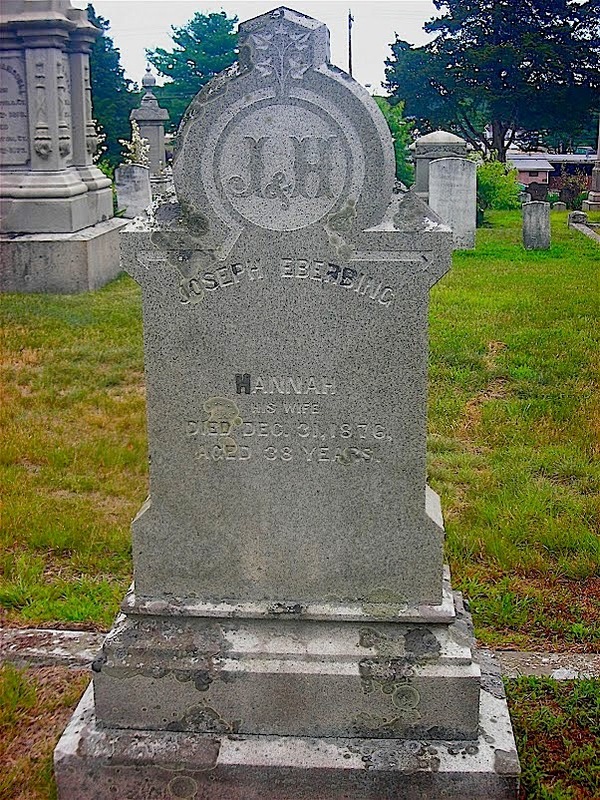 Her husband, "Joe" Ebierbing's name is also on this stone -- but, borrowing Tennyson's line on Franklin's cenotaph, Joe is "not here" -- he died some years later in the Arctic under mysterious circumstances, having returned there as a guide for the American explorer Frederick Schwatka. Tookoolito and Ebierbing endured much with Hall, accompanying him on his extensive Arctic searches for traces of Franklin's men, and appearing with him in at his lectures in the United States, as well as at Barnum's American Museum and Boston's Aquarial Gardens, where they were exhibited as curiosities; the death of their first child may have been in part a result of these frequent public appearances. On the Polaris Expedition, they faced an even sterner test, as Hall was poisoned by one of the ship's scientific staff, and in their escape they ended up among the group stranded on the ice floe for six months before their rescue. At the inquest that followed, Tookoolito and Ebierbing both defended Hall and supported his belief that he had been poisoned, but no action was taken. They had been through a great deal together, and Ebierbing was with her on the night of December 31st; she was laid to rest in the Starr Burying Ground, where this marker may still be seen.